Cash Flow Exclusive, LLC (or CFE for short) is a Florida-based, privately held company, founded in 2009 with the sole purpose to provide a dedicated and interactive information, education, and communication exchange platform to professionals in the cash flow industry. The core concept behind CFE is simple and has transcended our name, product, and motto: Cash Flow Exclusive™- Learn. Grow. Succeed. Besides being one of Cash Flow Exclusive, LLC’s founders and the current president and CEO, Ralf Bieler is also one of the two principals and the CEO of Multiple Funding Solutions, Inc., the Florida based micro-factoring / PO funding company he and his partner and wife Flor founded in 2002. As part of his untiring commitment to helping brokers and peers succeed in the cash flow industry, Ralf is the published author of the book “Marketing Magic – The Bigger Bang for the Smaller Budget”, and the developer of “The Marketing Resource Kit” for Consultants and Micro-Factors. He is also one of the co-founders and instructors of The Micro-Factor Academy, where future investors can get set-up with their own micro-factoring business and trained on how to run it successfully. Ralf dedicates part of his free time to serving as a volunteer-instructor on marketing and alternative business financing for an SBA sponsored Business Development Center in South Florida. 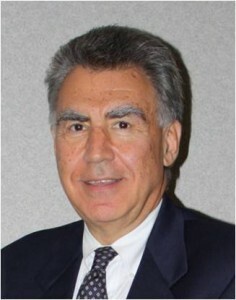 Prior to his entrepreneurial success in the cash flow business with Multiple Funding Solutions, Inc., Ralf had spent more than 20 years working worldwide in various executive positions for many Fortune 500 companies and their ad agencies on global business initiatives, marketing, and advertising. 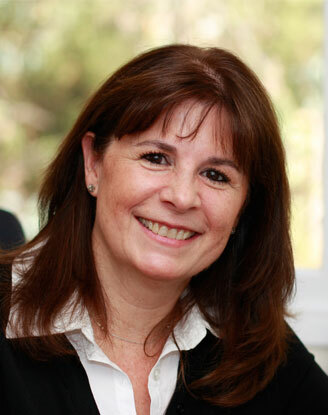 Besides her role as Cash Flow Exclusive, LLC’s treasurer and CFO, Flor Bieler is one of the two principals and the president of Multiple Funding Solutions, Inc., the Florida based micro-factoring / PO funding company she and her partner and husband Ralf founded in 2002. She is also one of the co-founders and instructors of The Mircro-Factor Academy, where future investors are set-up with their own micro-factoring business and trained on how to run it successfully. Flor has three times received the “You Make The Difference” award from the Business Loan Fund of the Palm Beaches and has been voted “Woman of the Year” by the U.S. Army, from whom she also received the “Circle of Winners” award for outstanding performance and contributions to the community. Prior to her quick entrepreneurial success in the cash flow business with Multiple Funding Solutions, Inc., Flor had gained extensive user experience with factoring during her engagement in Europe with a British furniture and design company. And with years of international marketing and sales experience, her focus on new business development, project management, and customer service, she has also contributed to the success of some leading automobile and soft-drink companies, as well as to the business expansion of numerous smaller companies in USA, France, and UK. In addition to serving as Cash Flow Exclusive, LLC’s executive vice president, Marty Granoff has been in the investment field for more than 45 years and has operated as Granoff Enterprises since 1980. In 1990, he moved from raising money for private placements to the brokering of existing real estate notes and then to other types of cash flows since 1992. Today, Granoff Enterprises deals as investor and sometimes as broker for state lottery winnings, structured settlements, contest and casino winnings, investment annuities, business notes and other types of future cash flows with strong payors. Marty has attended almost every national trade convention since 1992 and gave cash flow acquisition workshops at every one of them. In 2009 Marty and Ralf founded Cash Flow Exclusive, LLC. After serving for 13 years as the managing editor of one of the cash flow industry’s premier publications, Judy Arndt joined the Cash Flow Exclusive, LLC team as editor-in-chief to help create the industry’s first e-zine. Today she continues to be responsible for the editorial content of the monthly articles on this website. Although Judy is not a “practicing” cash flow professional, she knows a great deal about the industry and how it works and has connections with many people who are considered its top practitioners — including the Bielers and Marty Granoff. While serving as managing editor of the American Cash Flow Journal, Judy grew the publication from a 32-page newsletter to a 72 plus page magazine. She is one of only two recipients of the American Cash Flow Association’s Lifetime Achievement Award for her contributions to the cash flow industry. 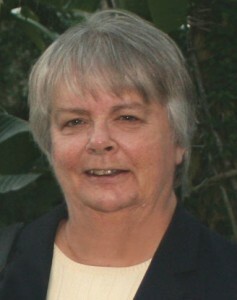 Prior to becoming involved in cash flow, Judy served as an editor of financial and legal continuing education materials, the education editor of a daily newspaper in Pennsylvania, and an English teacher. In her free time, Judy teaches Bible classes at her church and serves as captain of the church’s writing team. 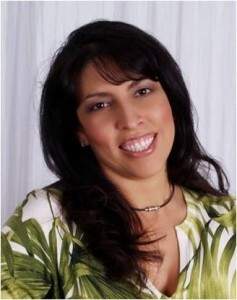 Tania Ortiz-Figueroa is responsible for the look of the Cash Flow Exclusive™ website. Prior to joining the Cash Flow Exclusive, LLC team, Tania held many creative positions in the publishing field, including serving for four and a half years as the creative director for the American Cash Flow Journal. She also works on other projects as a graphic designer and is able to assist Cash Flow Exclusive, LLC’s advertisers in designing their ads. 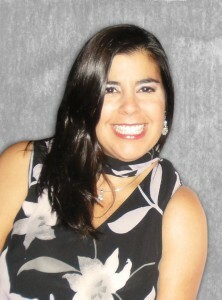 Tania graduated from The University of Central Florida with an arts major and minors in marketing and public relations. After graduation, she joined the marketing department at Harcourt, Inc., an educational school publisher. There, she developed a strong base in print publishing. After ten years with Harcourt, Tania expanded her experience and worked at several different creative companies in the Orlando, Florida area and held positions as project manager and managing art director. Marguerite Cueto joined the Cash Flow Exclusive, LLC team after a successful career in marketing and advertising communications in both the U.S. and Latin America. In her role with Cash Flow Exclusive, LLC, she oversees and directs all advertising and media matters for Cash Flow Exclusive, LLC and works closely with all companies that want to reach the cash flow industry with its broker/consultant community through advertising Cash Flow Exclusive website. In 2002 Marguerite turned her attention to the area of business financing and established Axis Financial Network, a professional consulting practice. Through Axis Financial Network, she operates as a cash flow consultant and broker, specializing in the business finance arena. Having served as the president of a local cash flow chapter, she sees Cash Flow Exclusive, LLC as another way to support the broker/consultant community and thus joined the CFE team in 2009 as its advertising and media director. Since the mid 1980s, Marguerite has worked with a wide range of businesses from consumer goods to service industries to the financial arena.